One of the many things that our service technicians discuss with homeowners is the insulation of their garage door. It eliminates high-energy bills and helps to muzzle outside noise. 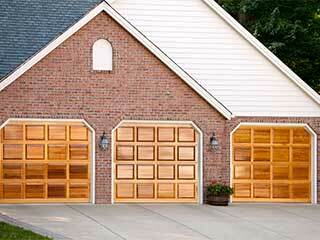 Since you are constantly opening and closing the door of your garage, it creates temperature fluctuations. The climate not only has an affect on your energy bill but it can damage valuables stored in your garage. When your garage is attached to your home, the temperature can affect the climate inside your home, thus the higher energy bills. This is why an insulated garage door is important. Find out more about the types of insulation offered and how to choose what’s best for your type of door. When it comes to saving money, everyone generally wants to know how. When it comes to home energy, one of the easiest ways to save money is by making small changes that add to big savings. If you have a garage door, make sure it is, not only insulated, but also properly insulated. Finding the right type of insulation is vital to your being able to save on energy. Just keep in mind that the weight from the insulation can become problematic. It often affect how the doors will open and if they open, at all. In this case, the spring tension will need adjusting. Here are some of the types of insulation used most often. Foam Board - These are made with polystyrene. Because of the material they are made of, they are extremely useful in insulating your garage with little thickness. The panels vary from ½ inch thing to 1inch thickness. They are usually covered in vinyl or aluminum. Batt - Made of fiberglass, the batt insulation offers flexibility and is commonly found in between exterior walls. Its backing is made from foil and sometimes paper. These materials are barriers for vapor and air. This insulation is popular because it offers a good value at a relatively cost effective price. Reflective - They come in rigid boards and has reflective aluminum foil on either side. Reflective insulation is thermal heat insulation. This is a good choice for a garage that tends to get extremely hot during the hotter months of the year. When insulating your garage, remember that you want one that is going to be practical for you based on cost and climate. Flat doors - We suggest using reflective or foam board insulation for this type of door without panels. It is quit easy for us to install and cost effective. Steel doors - You can use any form of insulation on this type. The insulation is properly placed within the frames, making sure the fiberglass is against the door. Wood & Panel doors - The best insulation for this type of door would be the foam board. Our service technicians are skilled at cutting it to size and fitting it between the frames your door to give you greater insulation. Now that you know about the benefits and options of garage door insulation, don't hesitate to make a wise choice.